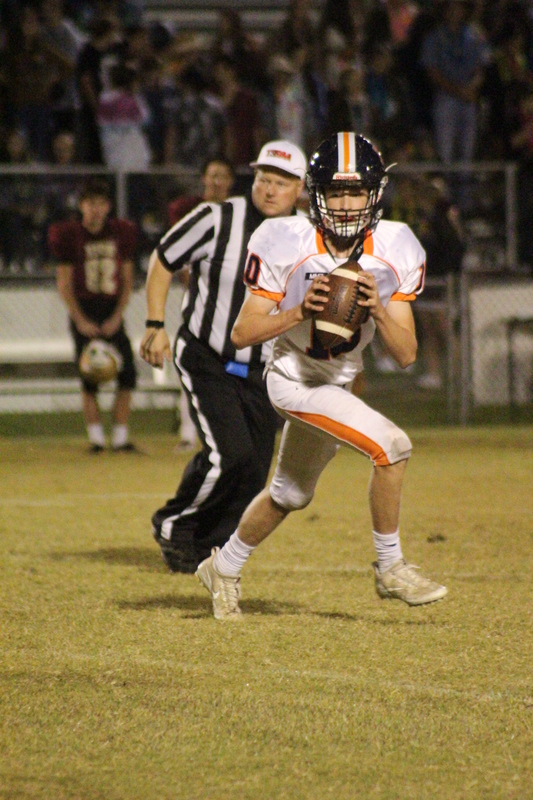 Freshman Matt McClary sees some action as quarterback during the game at Zion Christian. Last Friday, September 8th, the NCS varsity football team traveled to Columbia,TN to face the (1-2) Zion Christian Academy. Before the game Coach Brothers said “this” is going to be more of a mental game, he also said that “we” will not be watching film because he was going to Knoxville to watch The Tennessee Vols play. He said that because we were better than them in all phases of the game. The Eagles led the whole entire game, in the first quarter of the game, the Eagles scored a touchdown but missed the extra point. Then, they scored again and went for a 2 point conversion but failed. During the 2nd quarter, the Eagles scored 2 more touchdowns. Zion scored as the result of an Eagles’ fumble on at the 20 yard line. All of this led to a score of 40-6 at halftime. During halftime the defensive coordinator said that the “starters” will go in and start the second half on the game. In the 3rd quarter the Eagles scored again but missed the extra point to make the score 46-6. In the 4th quarter the backups came in and nobody scored, leaving the final score at 46-6. Friday Sep. 15 will be the Eagles 1st home game of the regular season. The Eagles will play (2-2) Jackson Christian at 7pm.